This is a basophil (white blood cell or granular leukocyte) which is moderately advanced. Its diameter is approximately 10 micrometers. 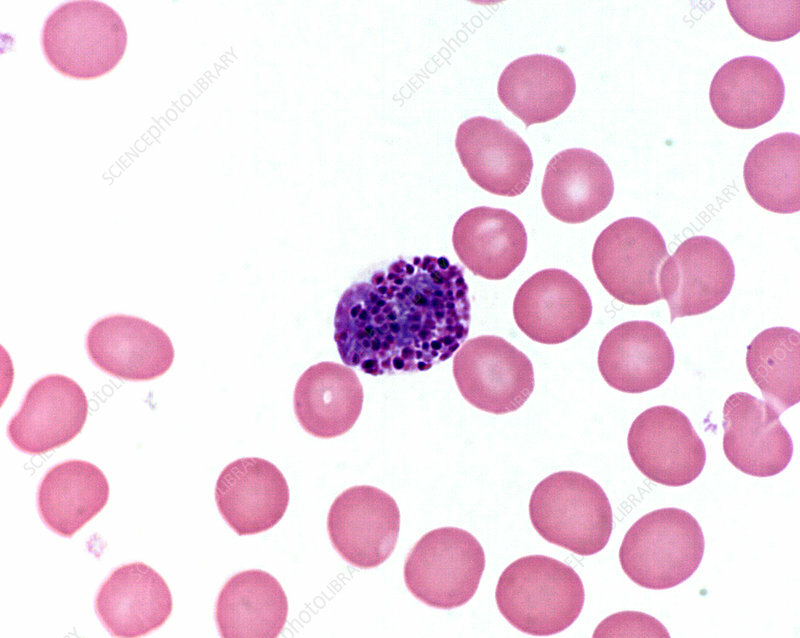 Again the basophilic granules tend to obscure the shape of the nucleus, however, there is a suggestion that the nucleus is, at this stage, bilobed. Wrights stain.